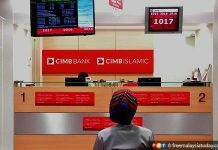 PETALING JAYA: CIMB Group Holdings Bhd (CIMB Group) has shut down 22 branches nationwide since August last year to reduce operational costs and focus on digital banking, Utusan Malaysia reported. One more branch is also scheduled to be closed soon. 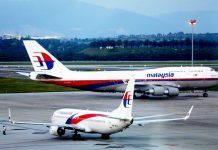 The staff affected have been relocated to other branches or absorbed by other services, its Group CEO Tengku Zafrul Aziz said. He did not specify which branches were affected. 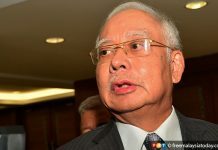 “Many of our customers tend to rely more on technology when it comes to banking and we need to pay attention to this trend in keeping up with the demand,” the Malay daily quoted him as saying. 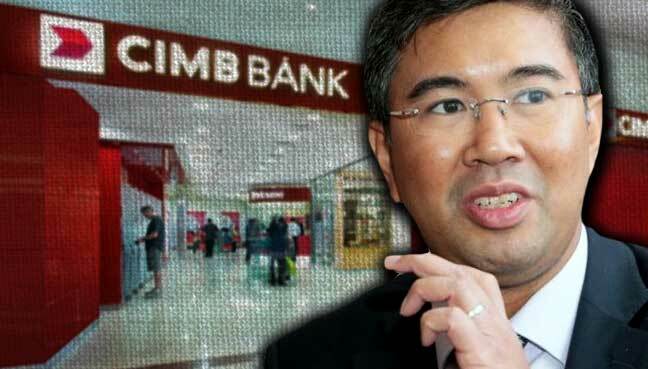 Meanwhile, The Malaysian Rerserve quoted Tengku Zafrul as stating that CIMB was not looking to open new branches as “digital optimisation is the way to go”. News of the closure of branches comes following a Bloomberg report in June claiming the bank is set for challenging times ahead. The group had to lay off 16 investment bankers two months ago in South Korea, Taiwan and India and 12 support staff at its broking business in Singapore. It has closed an office in Australia besides letting employees go in Malaysia, Indonesia and Hong Kong as well. Further layoffs may take place in Indonesia where CIMB wants to exit microfinance, which employs 1,000 people. Cuts are also expected to take place in Thailand as well as the bank wants to focus on wealth management in that country. Earlier today, it was reported that CIMB Group Holdings reported a 36 per cent year-on-year surge in second-quarter net profit on Monday. Net profit for the three months ended June 30 totalled RM872.8 million compared with RM639.8 million in the same quarter last year.